As his name implies Bon Bon is all white and very sweet. 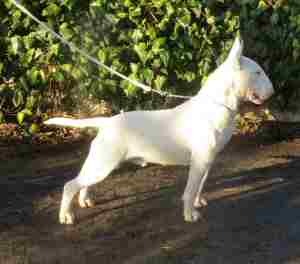 He is a typical bull terrier with lots of bone and substance. We are delighted to welcome Ralph to the Credetta stud team. 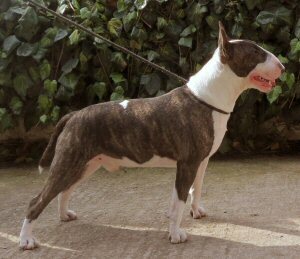 He is a rich brindle and provides a complimetary blood line to ours. A true bully with a superb temperament.